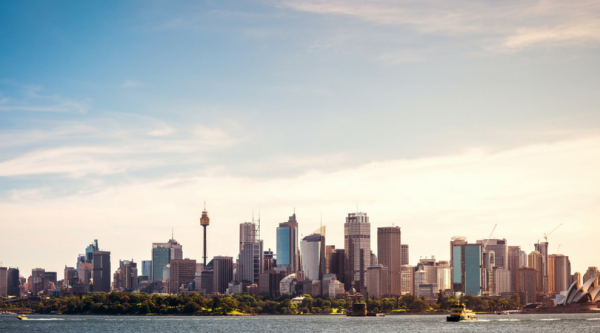 If you live in Sydney and you’re blissfully unaware of how much rent you pay compared to other cities, feel free to click back now—unless you’re looking for a solid reason to move cities. If you’ve recently taken a job or university offer in Sydney, however, you may be in for a shock when it comes to finding a place to live. Data from Flatmates.com.au showed that Sydneysiders paid an average of $289 per week for a room in a shared home in 2016—28% more than those sharing in the next dearest city, Darwin, where they forked out $225 on average. Melbourne was marginally cheaper in third, costing an average of $216 per week for a private room—33% less than those in Sydney, up from a 20% difference five years ago. 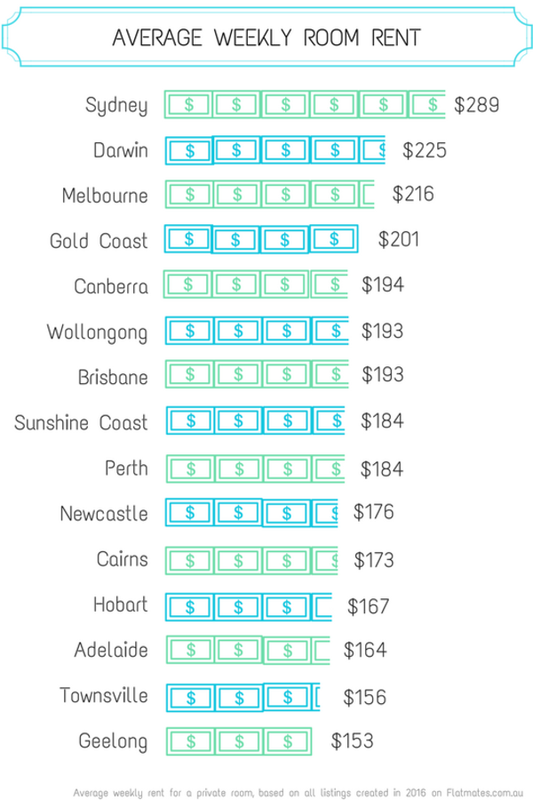 Surprisingly, the Gold Coast came in fourth most expensive at $201 per week, ahead of state capital, Brisbane, which finished equal sixth. At the other end of the spectrum, Geelong ranked as the cheapest of any city or region in Australia with room rents averaging just $153 per week. Townsville and Adelaide rounded out the three cheapest with $156 and $164 per week, respectively.